Jennifer Shea | Financial Advisory Network, LLC. Jennifer Shea is an Attorney by education and heads up the Estate and Business Planning department at Baystate Financial. In this role, Jennifer partners with Financial Advisors to provide subject matter expertise to help identify and create customized solutions for clients. Jennifer is well-versed in all areas of financial planning and has developed particular expertise in the areas of estate planning, insurance, philanthropy and retirement. Jennifer received a B.S. from The Pennsylvania State University, J.D. from Syracuse University College of Law, and M.B.A. from Syracuse University School of Management. While in law school, she served as Executive Editor of the Syracuse Law Review. Prior to joining Baystate Financial, Jennifer was a Senior Planning Specialist at Merrill Lynch and an associate at a boutique trust and estate law firm in Boston. She has experience in estate planning, estate administration, trust administration and the related areas of estate, gift and generation-skipping transfer tax planning. Jennifer also completed a two-year appointment as Co-Chair of the Boston Bar Associationâ€™s Estate Planning Fundamentals Committee. 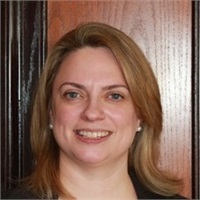 Jennifer is admitted to the bar in Massachusetts and is an active member of the Womenâ€™s Bar Association, Boston Estate Planning Council and the Trusts and Estates Consortium.